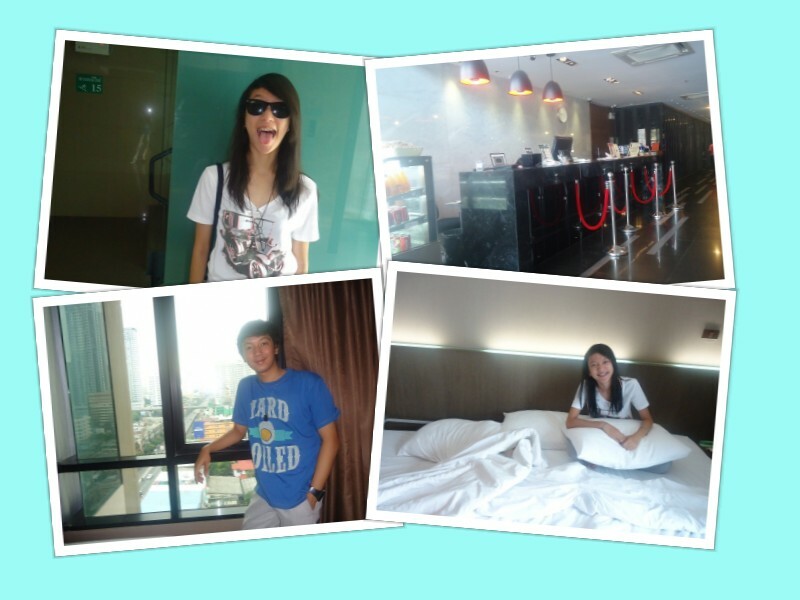 We just had visited Bangkok, Thailand last October 28 and we've stayed there for a week. This is actually a continuation of my vacation in the Philippines. 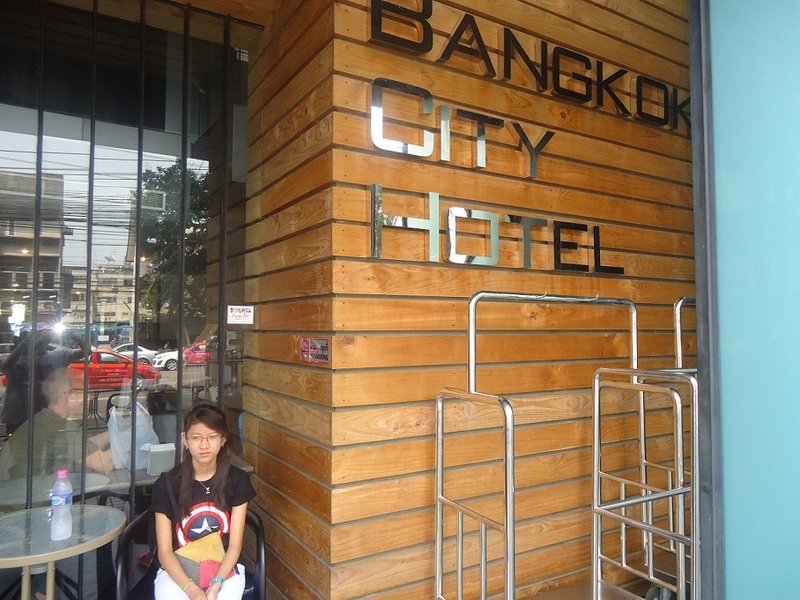 Going for a Bangkok tour was a promise I made to my kids. This is their prize for doing good in school and for not giving me any head ache while I'm away from home. Yes, they are such a lovely kids and they very well deserved the trip. Apart from treating my kids, this tour is also my personal gift to myself. 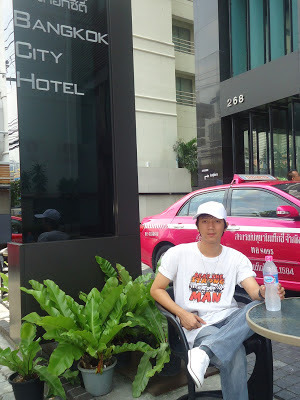 After having stayed in Cambodia working and not having much leisure times, I just think that I well deserved a break. We had a good trip to Bangkok via Tiger Airways last 28th of October. It was a pleasant trip and though there was a bit of delay (about an hour), we arrived at Bangkok safe and sound. I already booked my hotel for our one week stay so everything is easy. After choosing from countless hotels in Bangkok, I've finally decided to book at Bangkok City Hotel. This hotel is located at Pechburi Road right in the heart of Bangkok. I have chosen this hotel for a number of reasons: good location, modern and new facilities (hotel was just built last 2010), nice hotel amenities including a swimming pool on the 5th floor and a self serviced laundry area, convenience as they have a tour agency inside the hotel and of course value for money. Photos in front of the hotel. Just beside the hotel, on the right side, you can find a 7-11 convenience store (around 2 mins walk) and in front of 7-11 are 2 ATM machines which I find very helpful in case you need to withdraw some cash. Cash being dispensed from the machine are all in Thai Baht. I made use of this facility twice and I didn't have any problem at all. The bank will normally charge you THB150 for every THB5,000 you withdraw. On the left side of the hotel, you can find several massage parlours which offer "Thai massage", foot massage and oil massage for a very affordable price. I was quite pleased to see the facilities of the hotel. All clean and well maintained. They offer "free wifi" for those who are bringing their laptops and beside the front desk, there is a small business center where you can have a free use of computers and internet for 30 mins each day. The hotel has 3 elevators so bringing up your luggage will never be a problem. 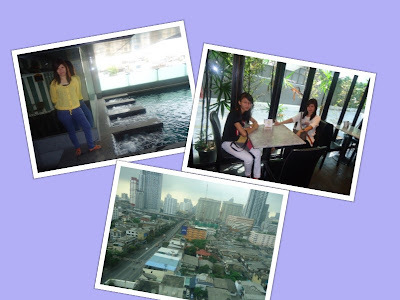 Hotel's pool on the 5th floor, restaurant on the ground floor and the view of the city of Bangkok from the windows of our room on the 15th Floor. I wasn't disappointed in choosing this hotel, the service is good and the staff were all nice and warm to their guests. Rooms amenities are being replenished and changed on a daily basis and rooms are being cleaned everyday. It's a nice feeling that after you come back to the hotel from whole day's trip around the city, you will arrive in a clean and fresh room. Well, this is good for a start right? Having chosen a good place to stay, I am now excited to feature the places that we have visited so far. Til my next post! Ciao! Around $50 lang a night Sis.